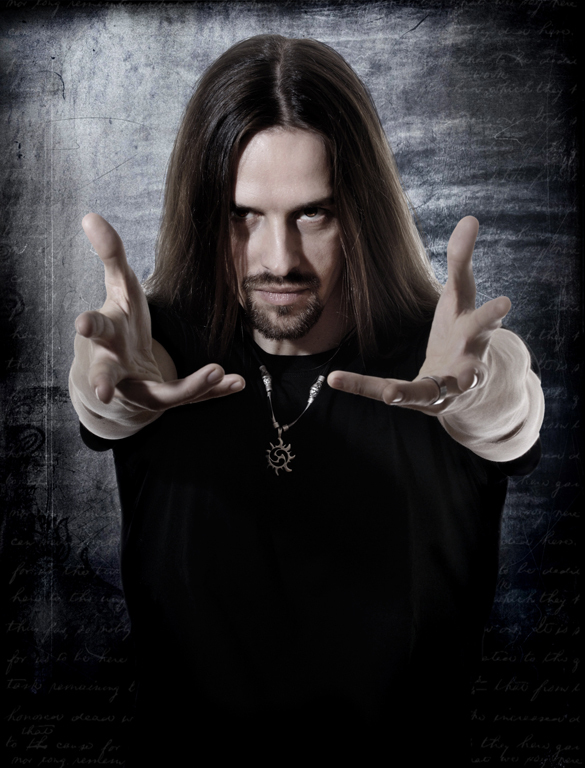 Oliver: Hello this is Oliver of Sons Of Seasons and Kamelot Hi. Oliver: We have an appointment now. Chad: How are you doing today? Oliver: I’m fine and you? Chad: Yeah I’m doing pretty good. I’m glad I get to talk with you. I think it’s great. I love your work from all the bands you’ve been with. And my first question is, well, I have a few Kamelot questions. My first one is about the current tour of Kamelot. 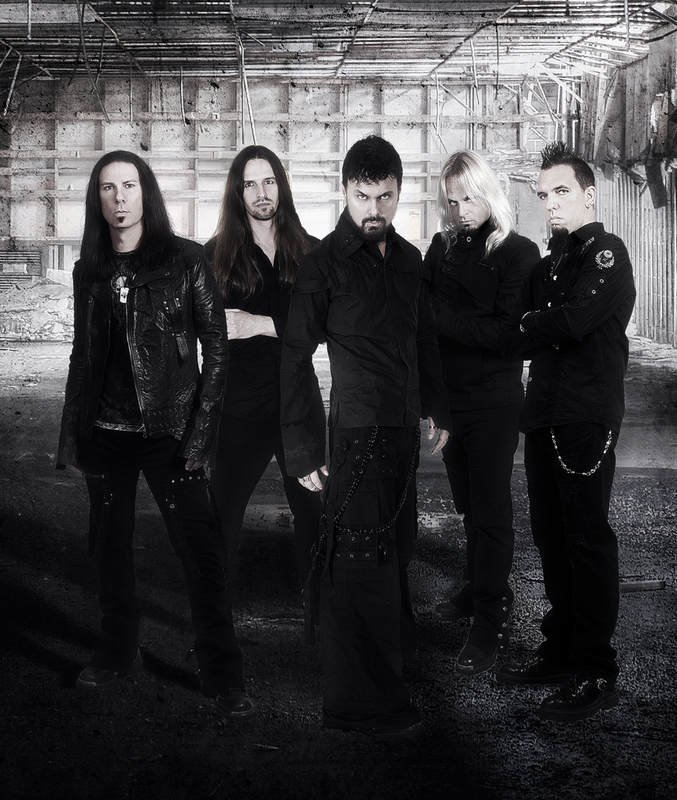 What is your opinion of Roy Khan’s absence and what does it mean for the future of Kamelot? Oliver: You know the point as much. I would like to tell you more about that, the point is well I even talked to him. But I don’t know that much about it. I know this past year was quite hard for him. And obviously like he had a burn out you know. That’s one of the things. Working on “Poetry For The Poisoned” he got really involved in that album. I also know that some kind of religious or spiritual thing is going on. And that makes it really hard to communicate with the person if you’re not yourself into something like that. So it’s a little bit unclear to me and the band still. So this is why I can’t give you anything more concrete. Chad: Yeah, I understand everything you just said. I agree with your meaning there. Well I hope for the best for him. Yeah he is a great vocalist I would hate to see Kamelot lose him. I don’t know if that will be the case if you lose him or not. Oliver: Yeah I don’t know myself exactly what the future will bring. Chad: Yeah I understand: Well my next question will go to about your guest vocalist Fabio of the band Rhapsody Of Fire. Why and how did you decide to choose him since he lives in Italy? Cause Kamelot is based in Florida and you yourself are in Germany on your off time. So how did you find Fabio as a replacement for the tour? Oliver: We auditioned a couple of singers internationally so we didn’t really pay any attention on which country since we are based in the U.S. And Germany and also with Roy in Norway too. Yeah, it’s hard to find good singers anyway. And Fabio was the guy who, you know we were sending songs from the last record and from old records and those singers recorded their version of it. And his stuff was just the most convincing. He did a really good job and it sounded really good. And we didn’t really want to have somebody that sounds just like Roy you know cause I think that would have been a wrong decision. So it’s Fabio for now. Of course he’s just a temporary replacement. It’s going to be a great show and he can sing the old stuff also like really good. Chad: Wow, that is cool. I hope I get a chance to catch you on your tour in the U.S. That brings me to my next question about the tour other than Fabio. I got a chance to interview Simone (of the band Epica) back in December when she was in Atlanta, GA. on the Epica tour. And she was touring with Kamelot on the European tour but I was also trying to clarify a rumor here that somebody told me that she might be touring with Kamelot’s U.S. Tour. Is that rumor true or false? Oliver: She will be with us now in South America first then Europe and then I guess we will bring her over if possible. The only thing which would come in between is Epica’s touring schedule. Cause that has priority for her of course. Chad: Oh yeah of course I understand that. What was it like to play with Doro? I know you played with Doro before you were in Kamelot. Pretty much how a lot people got to know who you were. I loved your work with Doro on the last 3 albums you did with her. I was just wondering how you liked that experience? Oliver: You know when I was still studying jazz and classical music at a university and suddenly I got that call and next day I was touring with Doro. And that kind of changed my life forever. Basically I didn’t even plan to be in the metal business because I was totally into different styles. I learn a lot from the guys from the whole band you know, Johnny Dee, Nick Douglas, Doro, and Joe Taylor. And for about 6 years they were like family for me. And we were touring a lot. Well after 6 years I decided to move on. I wanted my own band I wanted to do different kinds of metal. Her music is great but more like the basic metal hard rock thing. And for me as a instrumentalist and song writer I just needed something different after a while. Chad: Yeah I understand I’m glad the influence from her helped to get your start. What inspires you to write your music and lyrics with Sons Of Seasons? Oliver: I’m a pretty conservative worker it means I don’t really need like a big inspiration of something. I get up in the morning pretty early and I work until late. I’m composing and writing. You know it’s a little bit like the old composers from the classical era they had such an gigantic out put in their life and its all great. So its a little bit like I also work and think and at the end of the day, I always have at least some results. Of course some I throw away you know; nice drive but not good enough. And regarding the lyrics I read a lot. Its mainly like history, mythology philosophy, and whats currently happening in the world. Which inspires me to write lyrics. Chad: That’s awesome. Those are great influences. A lot of us here in the U.S. want to know is Sons Of Season going to be touring in the states? Oliver: I want it so much cause I think there is nowhere such a positive crowd like in the U.S. In Europe you have so many different countries. Sometimes it’s great and sometimes it’s not. And I always love to come over to the U.S. Cause people are just really positive and friendly. I want to cover all over but the point is it’s so hard these days for a new comer band. Our budget is so small we have to finance such a tour. Always touring in Europe for us it means losing thousands and thousands of Euros on every tour. So the U.S. Is kind of twice to fly over you know and rent a bus there. I want to come over to see how this develops and how the label supports us. Of course I can’t promise anything right now. Chad: I understand I think you guys deserve it. I love the first album. I only heard the song “Bubonic Waltz” from the new album. I thought it was great! My question is those that heard the whole album what is their thoughts about it? Oliver: The reviews are actually killer so far. So far we got the highest ratings 9 out of 10 even in the big magazines. I knew it would be better than the first album. We also got really good reviews there too. I know the work on the first record could have been so much better. We were pretty inexperienced regarding the engineering and recording and things. And the 2nd album was just a huge step forward for the band. And so far the reviews are so good that I have problems thinking about the 3rd album; what to make better. We’ll see. we have about 10 reviews so far and we’ll see how this continues. So far we are really happy. Chad: That’s great. I look very forward to hearing the whole album. I really like everything I have heard. Especially the vocalist which comes to my next question on your vocalist, Henning Basse. I think he sounds very cool and has close to the same style as Roy Khan. Which this is my opinion about that though. Was that a sound and style you were looking for when you looked for him? Oliver: Not really. You know when I started writing for Sons of Seasons demo, I didn’t even have a line up. And I was just starting writing songs. At first I had a totally different singer, who is in a band called Oceans of Sadness and he has a total different style than Henning. So that was the first singer for maybe 2 months. Then Henning came. I met him in Japan. I was totally blown away when he was playing with Firewind supporting Kamelot. So he was just there and I asked him if he would have time or be interested in joining Sons Of Seasons and so then we started working on the project. So it was definitely not a conscious decision to go with somebody like Roy Khan. Chad: I know they are different styles. I guess I hear a similar notes or something they can hit with their voice. But I think he is a great vocalist. I definitely can tell there is a difference between him and Roy Khan because of the styles he is able to do with what I heard with Sons Of Seasons. I think it’s great. He goes from like a Kamelot style to more aggressive vocalization. I think it fits Sons Of Seasons. When I listened to the first album I thought it was just great. I was blown away by his voice. And what Simone (Of Epica) sang on the first album, my thought was they were a great mix. Chad: Oh you’re very welcome! Oliver: You are going to hear so many more sides of his voice on the 2nd album. A little bit more aggressive a lot of screaming and grunting. He developes a lot. Back then I don’t know if you know a lot but at one point he was the singer of Metalium which is like a German metal band from the past. There he was a typical Power Metal singer. And since then he has developed so much. Yeah, in Sons Of Seasons we tried to find new ways for him to sing. And I think on the 2nd record you will discover that there is so much more than “Gods Of Vermin”. Chad: Wow, that is great I like every kind of metal there is. So I know I’m going to really really enjoy the new album. I’m very excited, I can’t wait to hear it! So is there any special meaning to the band’s name Sons Of Seasons? Oliver: I grew up in the south of Germany where I am also living still. Well, I moved back these days. And I live close to the Blackwood Forest down here you know where all those tales come from. Which you also have in the U.S. The old German fairy tales. So I always had a strong connection to nature. The seasons, the flow of the seasons, that just influenced my song writing very much. If it’s sunny out side or if it’s a foggy day or a raining day or so. It makes a big difference to me. So that’s part of the music and on the other hand I always mean the different or the versatility of the music in Sons Of Seasons there so much in there. So it’s a little bit like the different seasons of music which I mean for the title. Chad: That’s really cool! Yeah I can relate to that. I know I get influences when I take walks and listen to music. I understand what you mean about nature and stuff. That is cool that you live in that area where all those stories came from. I think that is really neat. I was about to ask if there was a certain theme to the lyrics to the new album? You kind of answered that in that last question. So yeah is there a certain new theme to the new album? Oliver: The first song you heard “Bubonic Waltz” is about the plague; the black death in Europe in the medieval ages. So that’s a little bit of history in there. I have a song called “Tales of Greed.” It’s a bit like my little personal revenge on all the bankers and people working in the financial business. Also especially regarding the financial crisis we had right after they still went for those absolute insane bonuses, those people get the kind of money they make. So that is an important song for me. Then I have “Sanctuary” this is the song where Simone is singing again. It’s like a future song; it’s about the internet social networks that is sometimes isolating people. It’s quite a mixture of themes which I have on the album. Chad: Wow, that is cool stuff! I can’t wait to hear that. I know about some of that history. I can relate to the social network stuff too cause I’m kind of on Facebook all the time (laughs). Almost every day. I understand where it can isolate you since you are pretty much inside all the time. Oliver: Yeah exactly. Same problem with me sometimes. Then I really have to switch off. Yeah, that’s what the song is about. Chad: I got a chance to see Epica on their most recent tour, which was awesome! But I understand, if I’m counting right on Epica’s 2nd U.S. tour you were the keyboardist for them. What was that like touring with Epica? I know you and Simone are in a relationship, so I know you enjoy that time together, but as a musician how do you like Epica as a band? Oliver: I love their music. Especially because the arrangements are pretty intricate. And for me as a keyboardist, it’s quite a change, I must say. So when I had to learn their stuff on a pretty short basis. Like on this time when I went on that 70,000 Tons of Metal tour with them and South America, it was just a change for me as a musician, that’s what I like a lot of about them. And they’re a bunch of really funny guys. They’re Dutch and German; quite a few differences between us mentality-wise so, that’s always quite an exciting experience. I think we will be in more engagements in the future so, yeah I like working with them a lot. Chad: That’s cool. I got a chance to interview Simone in December and talking with her and some of the band they are really nice. And during that interview I found out that Mark has a side project band coming out, MaYaN. I’m really looking forward to hearing that. Yeah, I read that you have a diploma as a music teacher. Do you teach music with anybody right now or are you just a full time musician? Oliver: I’m teaching also. Especially on those periods when not touring. I basically have 3 jobs and one is the live and studio musician and the next thing is production and mixing. And then I’m also teaching some like advance students. I’m also teaching sometimes on-line. You know, like I have students from the U.S. which I am teaching all the time. So that is also part of my job I really like because I try to build up those instrumentals over the years and I see their progress. It’s a big challenge for me also too, sometimes they are stuck, I have to find out and analyze where the problem is and how you can solve it. I love that part of my job too. So, yeah I’m teaching; not that much but here and there. Chad: Wow I think it’s cool you find time to do that! I know having your own band and being with Kamelot full time has got to be very busy, it sounds like. Chad: Are there certain things you can do with Sons Of Season that you can or can not do with Kamelot? Oliver: Yeah, that was also the main reason I started the band back then. I have just total freedom when I compose. 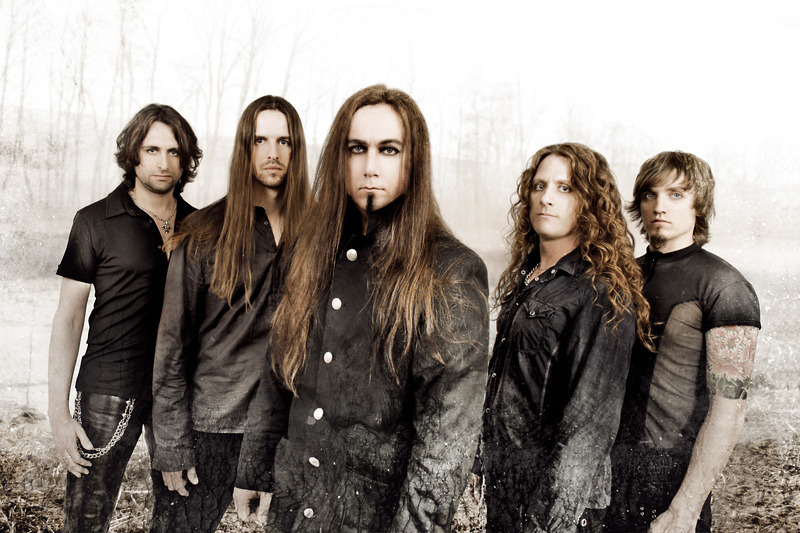 You know when you join a band like Kamelot, which was existing way before I joined. You are always a little bit stuck in the frame work of band. You have to fulfill their specific sound when writing for them or when you play for them. You play a lot of songs which were written before you joined the band and so on. So Sons Of Seasons is really my thing. It’s kind of my, how you say, my baby, you know? And that is a very different feeling. Which is hard to describe; it’s really something on it’s own. Which is my personal thing in the musical world. Chad: I can understand. Yeah every musician needs to have freedom to do what they want. Even though they are with a band they like. I’m glad there is a lot of musicians that do a lot of different things. It’s great influence. You can hear everything they can do. Chad: I always admire every musician. Like I said, I like all types of metal music. And a little industrial music as well so I always like the keyboards and piano music stuff and classical stuff. Out of all the tours you’ve done with all the bands you’ve been with, what was the best one to you? Is there one that just stands out or any interesting things happen on any of the tours? Oliver: A lot of stuff happened. Too much and I think the best tour I had was the European tour with Sons Of Seasons. That was with Epica when we were supporting Epica. Because every concert was great for us. The reception of the crowd was fantastic . And I was not sure before if that would be the case because the music was more complex. It’s not like you can sing a long the chorus right from the start. But the audience, yeah, totally got it. The band was really strong live. A lot of funny things happened. We were driving in a camper. We could not afford a tour bus. So we were like 7 people in a camper. And the camper was falling apart. It was a pretty old thing so actually a window, tires, we had two car accidents; one in Paris , one in Spain. So it was quite a remarkable tour on the positive. And also a little bit on the negative side. Chad: I’m glad nobody was hurt or anything. Yeah you hear a lot of musicians dying on touring trips and stuff. Glad everything is ok. Yeah sounds like if you want to play live bad enough you get it done. So that is awesome. I know mainly you use keyboards and guitar. What type of guitar and keyboards and amps or pedals do you prefer to use? Oliver: With guitars I have an endorsement with a company which is called Fame Guitars. It’s a European brand. I just got my signature guitar from them; a 7 string. I got to design every little element about it. I was waiting for that guitar for years. That is something which I’m really proud of. I can’t wait to play the thing live. I have Fame Amps cabinets, which is working really great for me. Pedals, I don’t really use any. I use the raw sound of the tubes for distortion. No distortion pedal there. I have a tuner and different channels for the amp. That’s basically what I’m playing. With keyboards, I am with Yamaha for many years. I just received my new SS8. Yeah, that’s my basic equipment. Chad: Yeah, that’s really cool stuff. I wish I could get my hands on some of that stuff one day. Here is a little fun question for you. If you could put together the ultimate super group for a band, who would you put in it? Chad: Take your time. I know it’s a big question although it was a little fun question. Oliver: I think on bass, I don’t know if you know since he’s more from the jazz theme, there is a guy called Brain Bromberg. He is fantastic. He’s maybe the best bass player. Also acoustic bass and also the electric bass. On drums, I would love to play with Steve Gadd. I don’t know if you know him. He is a fantastic player too. On keys it would be a piano player, he is called Gonzalo Rubalcaba. He’s just a genus. He is maybe the piano player of the century. Oliver: On guitar Richie Kotzen. He’s more like a blues player but he played for Poison. In my opinion he’s probably the best rock and metal guitar player now a days. Chad: That is very cool. So what are you planning to do after this? I know you’re still on tour with Kamelot. Oliver: Right now we are on a break. But the beginning of April we go to South America. After that we have the European tour and we also have Sons Of Seasons playing as openers. 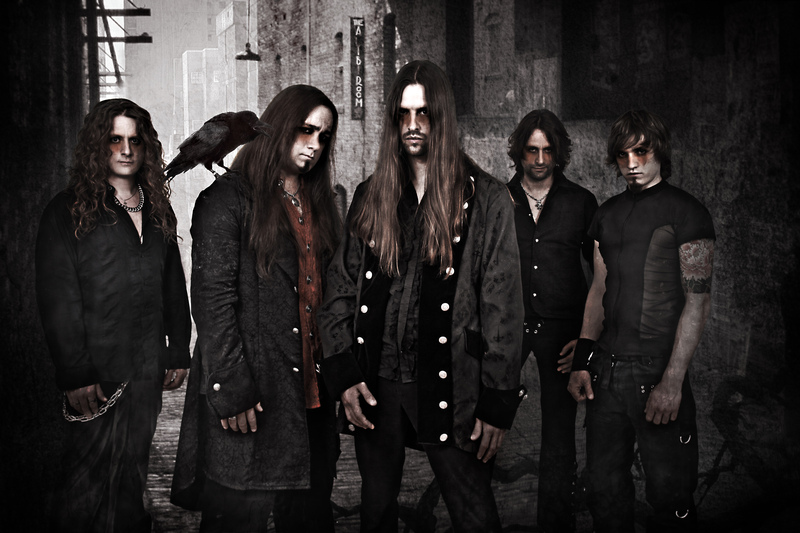 Then we have double headliner tours; Sons Of Seasons and MaYaN (The band from Mark Jansen of Epica). Oliver: Yeah that is something I’m really looking forward to. Cause MaYaN, I heard the music kind of fits Sons Of Seasons so well. That really will be a blast, I think. MaYaN is a mixure of all metal styles you can think of. When I heard the pre- production from Mar, it was pretty over whelming, there’s so much happening there. In September, Kamelot comes to the U.S. Now, I think we have to slowly come to a end now. I have to call the next guy soon. Chad: Oh yeah sorry, I lost track of time. But thank you very much for your time!!! I’m a fan of your work and good luck with the new album and everything. I’m really looking forward to hearing it. And you have good day! Oliver: Ok you too, bye.